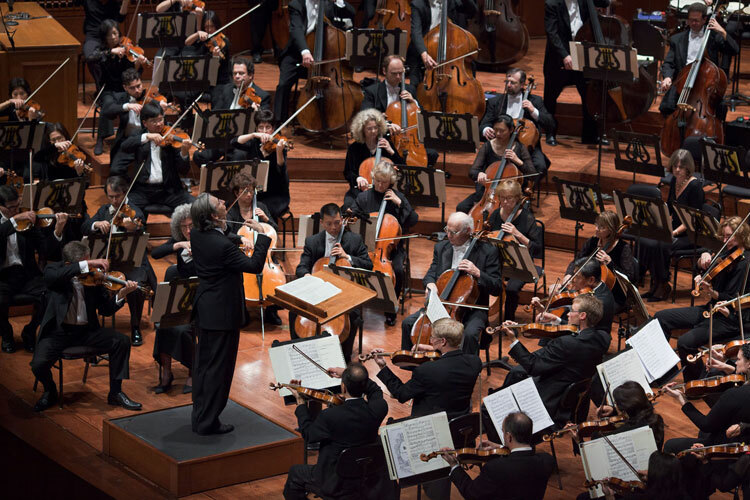 Michael Tilson Thomas and the San Francisco Symphony invite us to an interesting performance this week – one that features works by two contrasting composers – Béla Bartók and Hector Berlioz. The guest artist is piano virtuoso Jeremy Denk who plays the Bartók Piano Concerto No 2 – which he recently played during this year’s BBC Proms season – and the work by Berlioz is his epic Symphonie fantastique. 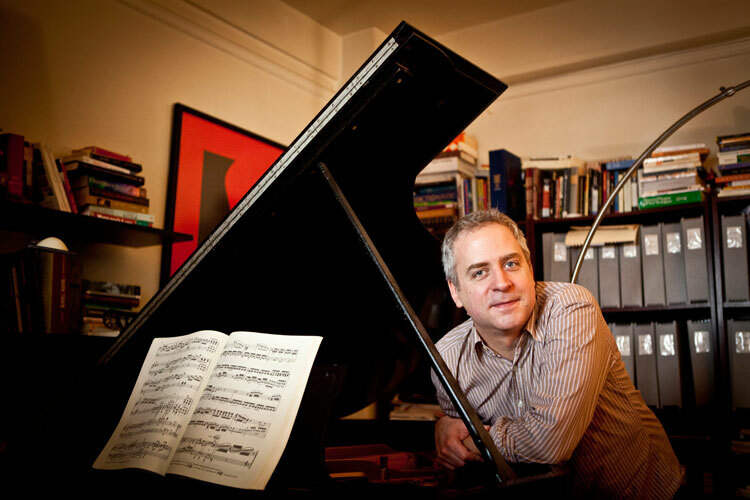 Winner of a MacArthur “Genius” Fellowship, the Avery Fisher Prize, and Musical America’s Instrumentalist of the Year award, and recently elected to the American Academy of Arts and Sciences, Jeremy Denk is known as one of America’s foremost pianists, and “one of the most respected pianists on the planet” according to artsBHAM. He has toured widely across the United States and in the United Kingdom, and appeared with some of Europe’s finest orchestras, including, recently, the Amsterdam Concertgebouw. Mr Denk is described by The New York Times as “….. a pianist you want to hear no matter what he performs, in whatever combination – both for his penetrating intellectual engagement with the music and for the generosity of his playing“. Bartók wrote his two piano concertos during what are considered his most productive years – the two decades following the end of World War I. The First Piano Concerto was written in 1926, and the Second in 1931, although it wasn’t premiered until January 23, 1933. This performance took place in Frankfurt, with the composer as soloist, and is notable for the fact that this was Bartók’s last appearance in Germany before the rise of Nazism, which was responsible for his departure from Europe for the United States in 1940. The work is described by AllMusic as one of Bartók’s “more accessible compositions for performers and audiences alike”, but it’s certainly no less challenging for that. From the opening bars, you’re left in no doubt that you’re in for a thrilling display of dazzling virtuosity – from both composer and soloist. Berlioz referred to his Symphonie fantastique as his “descriptive” symphony – which is probably putting it very mildly. It’s a dramatic and expressive work, and – bearing the title Symphonie fantastique: épisode de la vie d’un artiste – is known to be autobiographical, since it portrays a series of dreams about a failed love affair. At the time of writing the symphony, Berlioz had apparently fallen in love – at a distance – with the actress Harriet Smithson, whom he ultimately married. The marriage, however, didn’t last. The Symphonie fantastique premiered in Paris on December 5, 1830, contributing greatly to the reputation which Berlioz acquired as one of the most progressive composers of his time. Michael Tilson Thomas leads the San Francisco Symphony in a program of music by Béla Bartók – with guest artist Jeremy Denk – and Hector Berlioz, on September 28 and 30, and October 1. For more information, and for tickets, visit the San Francisco Symphony website. 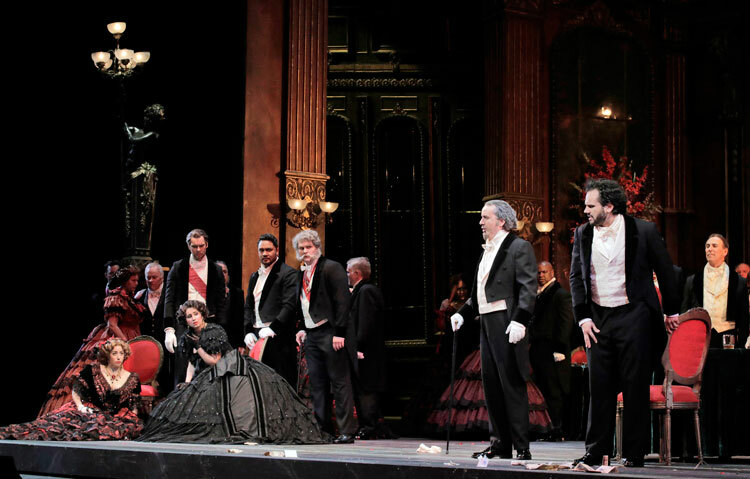 San Francisco Opera’s Fall Season continues with La Traviata, Guiseppe Verdi’s widely loved interpretation of the French play, La dame aux Camélias, by Alexandre Dumas (the younger). 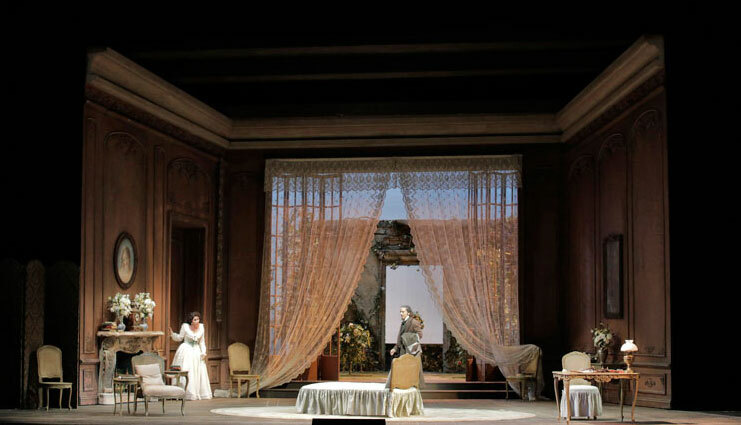 While La Traviata is one of the world’s most performed operas, and one which the Company has staged on 32 occasions during the past 95 years, this season’s production has added interest with the introduction of three artists, in the leading roles, all making their San Francisco Opera debuts. Romanian soprano Aurelia Florian sings the role of Violetta Valéry, Brazilian tenor Atalla Ayan is Alfredo Germont and Polish baritone Artur Ruciński sings Giorgio Germont. San Francisco Opera’s sumptuous and classic production, this one originally staged in 1987, is once again directed by English director John Copley, with stage direction by Shawna Lucey. Nicola Luisotti leads the San Francisco Opera Orchestra and Chorus (Director Ian Robertson), choreography is by Carola Zertuche, Artistic Director of Theatre Flamenco of San Francisco, set design is by John Conklin, costumes by David Walker and lighting Gary Marder. La dame aux Camélias, written in 1852, was itself an adaptation – of Dumas’ 1848 novel of the same name – which tells of the tragic downfall of a society courtesan, Violetta Valéry. The opera, with an Italian libretto by Francesco Maria Piave, premiered at Teatro La Fenice in Venice on March 6, 1853. 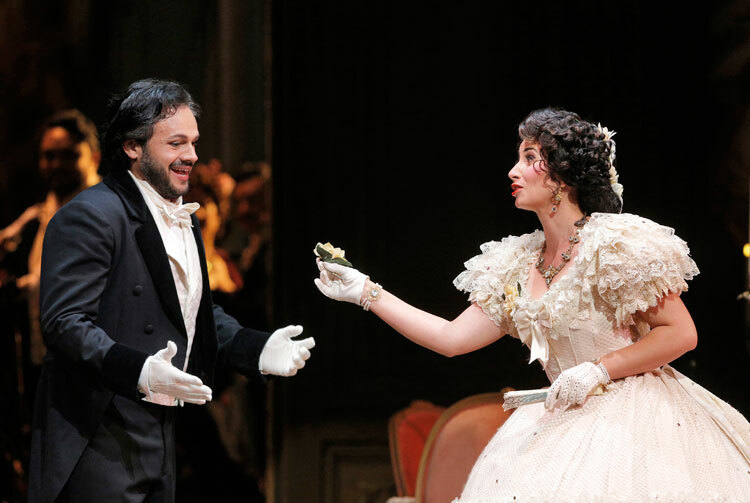 Romanian soprano Aurelia Florian not only makes her San Francisco Opera debut in these performances of La Traviata, but sings this role for the first time in the United States as well. A former member of the Romanian National Opera Bucharest, Ms Florian first sang Violetta at the Sarzana Opera Festival in 2011, and has made house debuts in the role with Bavarian State Opera Munich, Opera Zurich and Norske Opera Oslo, among others. She has sung leading roles in operas by Verdi and Puccini in some of the world’s major theatres, and has returned on a number of occasions to Israel Opera Tel Aviv. One of her most interesting appearances in La Traviata was with Israel Opera and Daniel Oren at the 2015 Masada Opera Festival, on the shores of the Dead Sea, in which her performance – according to Reuters – “left the audience spellbound”. 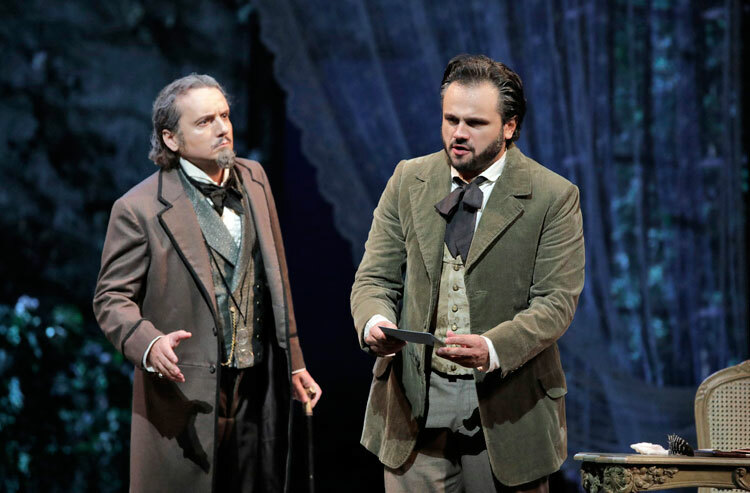 Brazilian tenor Atalla Ayan made a surprise debut at the Metropolitan Opera in 2011, when he stepped in at less than 24 hours’ notice to sing five arias in the Company’s opening Summer Concert in Central Park. Following this appearance, the New York Times wrote of his “warm, rounded tone with a quality that calls to mind the young Placido Domingo”. He has also won acclaim for performances at The Royal Opera House, Covent Garden, Teatro alla Scala Milan, Grand Théâtre de Genève, and Deutsche Oper Berlin. During the 2016-17 season Mr Ayan sang the role of Alfredo Germont at the Metropolitan Opera – under the baton of Nicola Luisotti – and also at Covent Garden and the Glyndebourne Festival. Polish baritone Artur Ruciński most recently appeared as Giorgio Germont at The Royal Opera House, Covent Garden, at Arena di Verona and Deutsche Staatsoper Berlin. He has appeared on the stages of some of the world’s major opera houses – Teatro Liceu Barcelona, Hamburg State Oper, Opéra Bastille, Teatro La Fenice, Teatro alla Scala Milan, Vienna Musikverein and the Metropolitan Opera – in a range of roles, including the title role in Eugene Onegin, Prinz Jelecky in The Queen of Spades (with Valery Gergiev), Lescaut in Manon, Count Almaviva in Nozze di Figaro and Mercutio in Romeo et Juliette. Current and former San Francisco Opera Adler Fellows complete the cast – mezzo-soprano Renée Rapier as Flora Bervoix, tenor Amitai Pati as Gastone, bass-baritone Philip Skinner as Baron Douphol, bass Anthony Reed as Doctor Grenvil, baritone Andrew G Manea as Marquis d’Obigny and soprano Amina Edris as Annina. 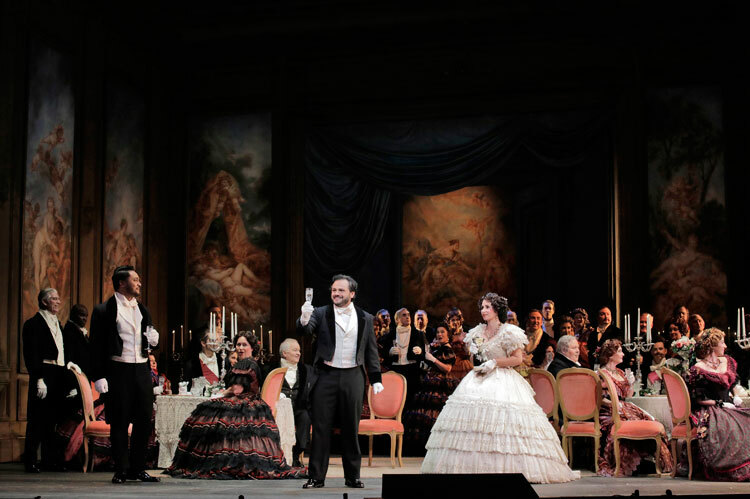 La Traviata, sung in Italian with English supertitles, runs at the War Memorial Opera House until October 17. For more information and tickets, visit the San Francisco Opera website. In the opening program of this new season, Michael Tilson Thomas and the San Francisco Symphony pay tribute to a man who was surely one of the most creative and charismatic musicians of the 20th century – the legendary Leonard Bernstein – whose Centennial will be celebrated throughout the 2017-18 season. 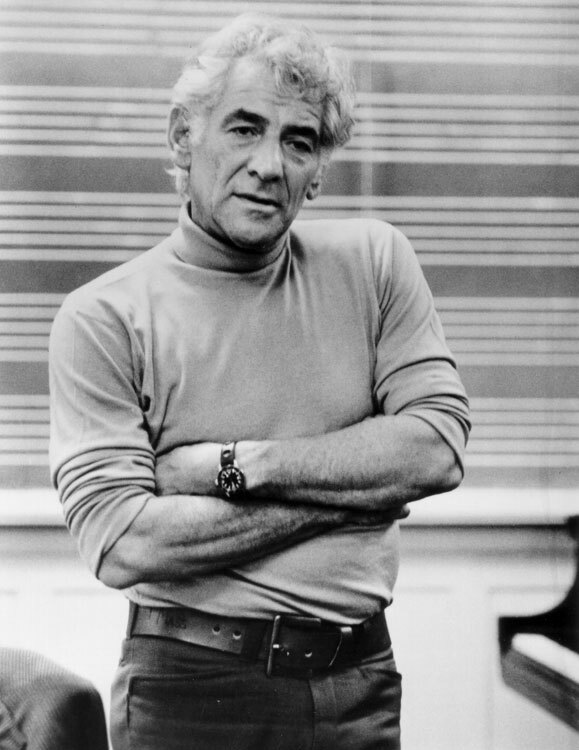 Composer, conductor, performer, educator and humanitarian, Bernstein was the recipient of countless honorary degrees and decorations by foreign governments, a host of awards – Grammy, recording, Emmy, television, arts and civic awards – honorary membership of an array of illustrious societies, and five highly prestigious honorary offices. He has had a remarkable impact on the world of music – whether classical, film or theatrical – and we know that he was a close friend of Michael Tilson Thomas, and had a significant influence on the development of his career. It is surely with the greatest pleasure that MTT and the Symphony Celebrate Bernstein at the beginning of his Centennial season, and the program chosen for this week reflects a selection of works as eclectic and interesting as the man himself is known to have been. 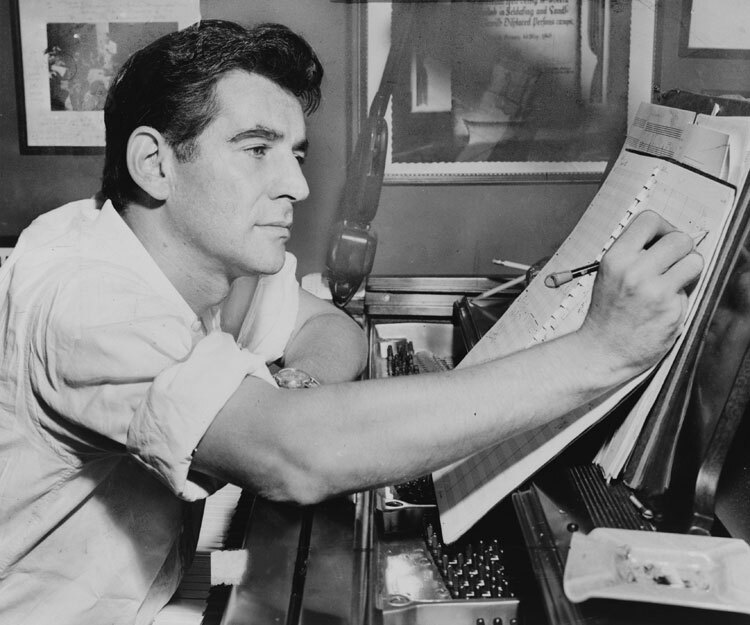 Bernstein as Educator – Credit: Paul de Hueck, courtesy the Leonard Bernstein Office, Inc. The program opener, Bernstein’s Prelude, Fugue, and Riffs, recalls the era of the big band. Originally intended for Woody Hermann’s jazz band in 1949, it was shelved before its completion, and it wasn’t until Bernstein’s Omnibus television broadcast in October 1955 that the completed piece – dedicated to Benny Goodman – was first performed, demonstrating what’s described as “Bernstein’s unique ability to embrace a style and make it his own”. Scored for solo clarinet and jazz ensemble, the work was performed with clarinetist Al Gallodoro as soloist, a role which this week will be taken by San Francisco Symphony Principal Clarinet, Carey Bell. Leonard Bernstein’s Chichester Psalms is certainly one of his more intriguing works. Commissioned by the Very Rev Walter Hussey, Dean of Chichester Cathedral in Sussex, for the Southern Cathedrals Festival in 1965, it’s a work in three movements, sung in Hebrew, each featuring one complete Psalm and excerpts from another paired Psalm. Musically, it brings together both the Christian and Hebrew religious traditions, yet it has a jazzy, contemporary sound – with “a hint of West Side Story” about it, in accordance with the wishes of the Dean, a well-known patron of the arts. Bernstein described the work as “popular in feeling,” with “an old-fashioned sweetness along with its more violent moments.” This work features the voices of the San Francisco Symphony Chorus – directed by Ragnar Bohlin – and the boy soprano is 13 year-old Nicholas Hu, who has been singing with the Ragazzi Boys’ Chorus in Redwood City since the age of seven. The somewhat unusual title of Bernstein’s Arias and Barcarolles is attributed to Dwight D Eisenhower, who – in complimenting the composer after a performance of Gershwin’s Rhapsody in Blue which he had conducted – said: “I liked that last piece you played. It’s got a theme. I like music with a theme, not all them arias and barcarolles.” This eight-part song cycle for mezzo-soprano, baritone, and two pianos, is fascinating for its range of different compositional styles. It premiered at the Equitable Center auditorium in New York City on May 9, 1988, as a benefit for Young Concert Artists. And the two pianists? They were none other than Leonard Bernstein and Michael Tilson Thomas. The guest artists in this week’s performances are mezzo-soprano Isabel Leonard – winner of two Grammy Awards – who most recently appeared with the Symphony as Claire in Bernstein’s On the Town last year, and bass-baritone Ryan McKinny, described by Opera News as “one of the finest singers of his generation”, who makes his debut at San Francisco Opera this season in the world premiere of John Adams’s Girls of the Golden West. The orchestration of Arias and Barcarolles was created by Bruce Coughlin in 1993, and first heard on September 26 of that year at the Barbican Centre in London. Michael Tilson Thomas conducted the London Symphony Orchestra, with soloists Frederica von Stade and Thomas Hampson. On August 19, 1957, Broadway was stunned by the premiere of the musical West Side Story. With a score by Leonard Bernstein, choreography by Jerome Robbins, libretto by Arthur Laurents and lyrics by a then-unknown Stephen Sondheim, West Side Story came to represent “an essential, influential chapter in the history of American theater” – a stark reflection of the social issues of the time. Placed somewhere between opera and musical comedy, Bernstein’s fabulous score – reflecting musical styles of both the Old and the New World – is still as relevant today as it was 60 years ago, and still retains its popularity. 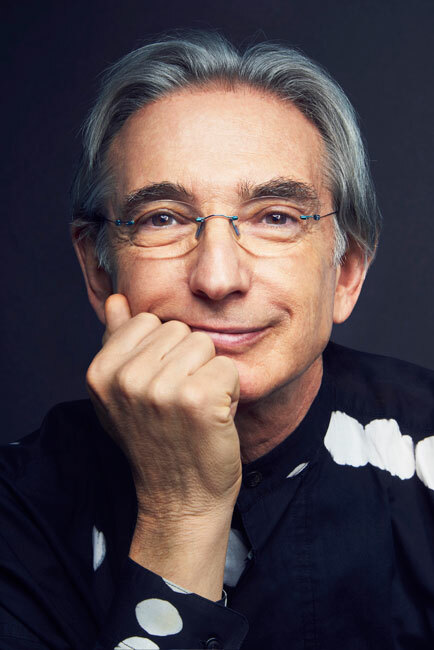 As recently as 2013, Michael Tilson Thomas and the San Francisco Symphony presented a hugely successful concert version of the score – the first time that the complete musical had ever been performed in a live concert setting. A CD of this concert version was released on the Symphony’s in-house label SFS Media. Four years after the show’s premiere, Bernstein took nine sections from the score, and created the Symphonic Dances from West Side Story – the final work in this week’s program. He didn’t present them in the order in which they appear in the show, but created instead an uninterrupted sequence “derived from a strictly musical rationale”, hence the title Symphonic Dances – they were symphonically conceived as a concert piece, and totally independent of the on-stage acions to which they were linked in the musical production. The now hugely popular Symphonic Dances from West Side Story were first performed on February 13, 1961, with Lukas Foss conducting the New York Philharmonic at Carnegie Hall, in a pension fund gala concert titled “A Valentine for Leonard Bernstein”. Prior to each of this week’s concerts, a special one-hour Inside Music talk will be hosted by renowned Leonard Bernstein scholar, Humphrey Burton – former Head of Music at the BBC, concert and opera director, impresario and biographer. Mr Burton’s talks feature a rare interview with Michael Tilson Thomas, who will share memories of his working relationship with Bernstein. Other highlights include Burton’s own insights, stories, and video from his 20-year collaboration with Leonard Bernstein. Michael Tilson Thomas leads the San Francisco Symphony, the San Francisco Symphony Chorus and guest artists in a celebration of the music of Leonard Bernstein at Davis Symphony Hall on September 22, 23 and 24. For more information and tickets, visit the San Francisco Symphony website. Michael Tilson Thomas and the San Francisco Symphony launch their 2017-18 season this week with a fabulous program, featuring one of classical music’s most illustrious artists, cellist Yo-Yo Ma. Getting the festivities of the Gala Opening off to a rousing start is Leonard Bernstein’s Overture to Candide, the first work by MTT and the Symphony in their season-long tribute to to one of the 20th century’s greatest composers, conductors, pianists – and characters – on the 100th anniversary of his birth. Bernstein wrote this colorful and melodic overture for his comic operetta, Candide, based on Voltaire’s 1758 novella – a satirical comment on the fashionable philosophies of the time. The overture is more often performed than the operetta, but San Francisco audiences are in for a treat, for in January, MTT will lead the Symphony in a full concert performance of the entire work. Having recorded over 100 albums, 18 of which have won Grammy Awards, Yo-Yo Ma has also been the recipient of a number of prestigious honors, including the 1978 Avery Fischer Prize, the 1999 Glenn Gould Prize and the National Medal of the Arts in 2001. He was appointed a CultureConnect Ambassador by the United States Department of State in 2002, and serves as a UN Messenger of Peace. 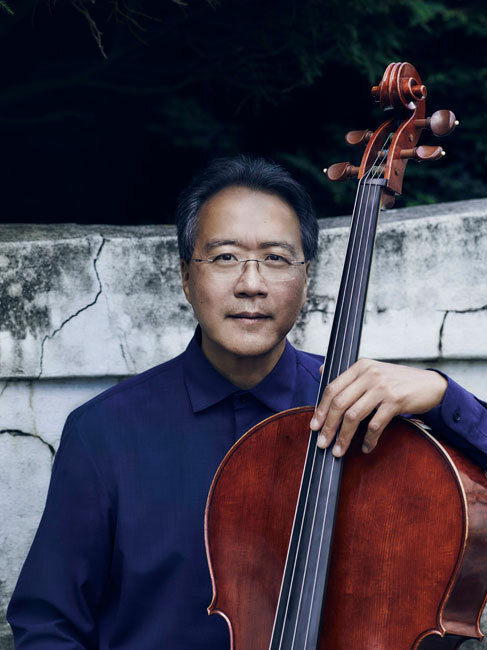 The first of the two gorgeous works which Yo-Yo Ma performs at this Gala Concert is the Saint-Saëns Cello Concerto No 1. Written as one continuous movement, despite having three distinct sections, it’s a lyrical and appealing piece, and the fact that it was premiered at the Paris Conservatoire – on January 19, 1873 – gives an indication of the high regard in which the composer was held. The Conservatoire at that time wasn’t given to featuring works by contemporary composers. Tchaikovsky’s hauntingly beautiful Variations on a Rococo Theme is a welcome addition to the program, for it’s not as often played in the concert hall as are many other works for the cello. The theme in question wasn’t actually based on one from the Rococo period, but on a theme imagined by Tchaikovsky to be in the style of the Classical Era, his admiration for Mozart and Haydn having been well documented. Either or both of these composers might have been the inspiration for the piece, but it was scored for a rather smaller orchestra than was common during their time. Played with no breaks between the variations, this work is nevertheless said to be the closest that Tchaikovsky ever came to composing a cello concerto. Wrapping up the program is Ravel’s mesmerizing Bolero, a piece of music that he wrote whilst on holiday in Saint-Jean-de-Luz, in his beloved Basque country. He’d promised to write a piece for the Russian dancer Ida Rubinstein, and – apparently playing the melody with just one finger on the keyboard – he remarked to a friend that he thought it had an “insistent quality” and planned to develop it. Insistent, with an unstintingly regular rhythm it might have been, but by the time Ravel had finished with these 18 variations on one theme, they were set to become his most popular work. Bolero premiered in Paris on November 22, 1928, with Rubinstein performing a ballet choreographed by Bronislava Nijinska. This Opening Night Gala will certainly be an occasion to remember – the Symphony knows how to throw a spectacular party! An evening of superb music is preceded by the fizz of bubbles, with the traditional After-Party for all concert-goers in the Tented Pavilion in Grove Street – and all for a great cause, too – benefiting the Symphony’s many artistic, community and education programs, which reach more than 75,000 Bay Area children every year. The Gala heralds a season packed with wonderful programs, an important part of which will be the celebration of the Centennial of Leonard Bernstein – a hugely influential figure in the life of Music Director Michael Tilson Thomas. In addition to the concert performance of Bernstein’s Candide, works by this most charismatic of composers include his Prelude, Fugue, and Riffs, his Chichester Psalms, his eight-part song cycle Arias and Barcarolles, the Symphony No 2, The Age of Anxiety, and his Serenade; Facsimile; Divertimento. 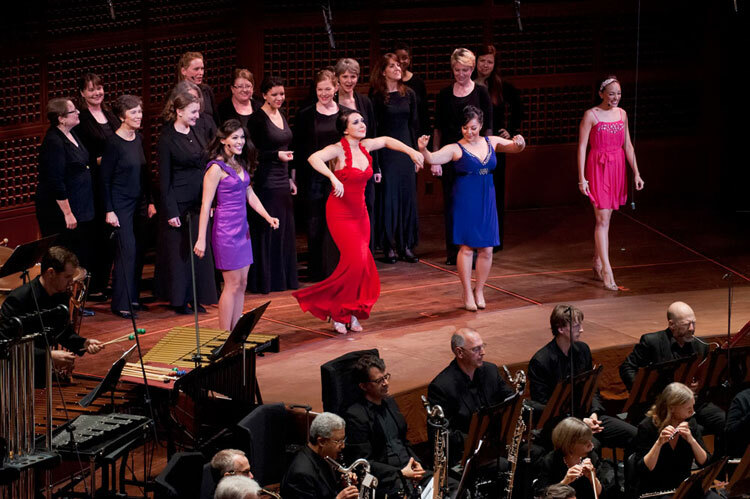 No Bernstein celebration would be complete without his wonderful Symphonic Dances from West Side Story, and there’ll also be a screening of the film in a separate performance, with the score provided by the San Francisco Symphony. Other highlights of the season include a semi-staged production of Mussorgsky’s epic Russian opera Boris Godunov, starring Stanislav Trofimov in the title role, and the list of visiting conductors features Jakub Hrůša, Edward Gardner, and Daniel Harding – all making SFS debuts. Krysztof Urbański, Susanna Mälkki, Semyon Bychkov, Osmo Vänskä and Herbert Blomstedt lead performances of music from their own countries. Juraj Valčuha, Pablo Heras-Casado, Stéphane Denève and David Robertson conduct the first SFS performances of contemporary works, and Charles Dutoit conducts works that featured in Ravel’s 1928 tour of the United States. There’s a season-long residency by young Russian pianist Daniil Trifonov, and the list of visiting ensembles and soloists is impressive – the Royal and Israel philharmonic orchestras, Bach Collegium Japan, and Joshua Bell and the Academy of St Martin in the Fields; pianists Yuja Wang, Yefim Bronfman, and András Schiff; violinist Christian Tetzlaff; and what’s billed as “an extraordinary collaborative performance” by violinist Itzhak Perlman and pianist Martha Argerich. It’s certainly going to be a grand season. For more information and tickets for the Opening Night Gala and all performances, visit the San Francisco Symphony website. 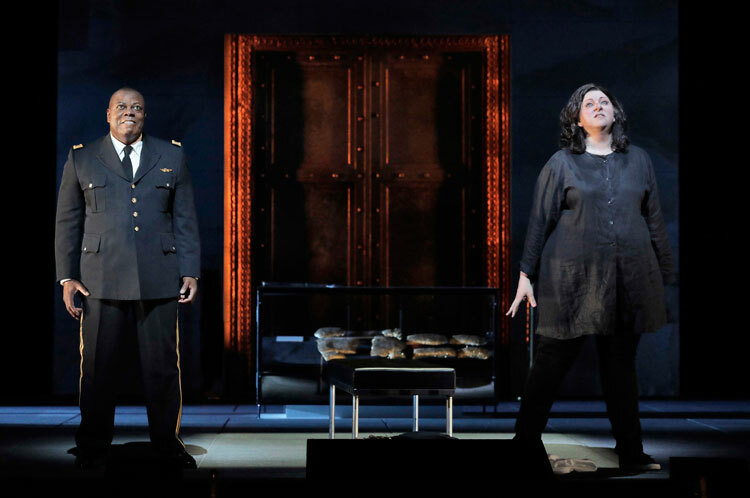 Drama, bloodlust and murder rule onstage at the War Memorial Opera House for the second production in San Francisco Opera’s 2017-18 Season – Richard Strauss’ Elektra – which opened this evening. The inspiration for this work – Sophocles’ tragedy, Elektra – is a dark tale of the descent into insanity of the central figure, Elektra, the daughter of King Agamemnon,who becomes fanatical about avenging his death at the hands of her mother, Klytemnestra. Strauss’ opera, with a libretto by Hugo von Hofmannsthal, premiered in Dresden on January 25, 1909. This San Francisco Opera production stars soprano Christine Goerke in the title role, with mezzo-soprano Michaela Martens as Klytemnestra. 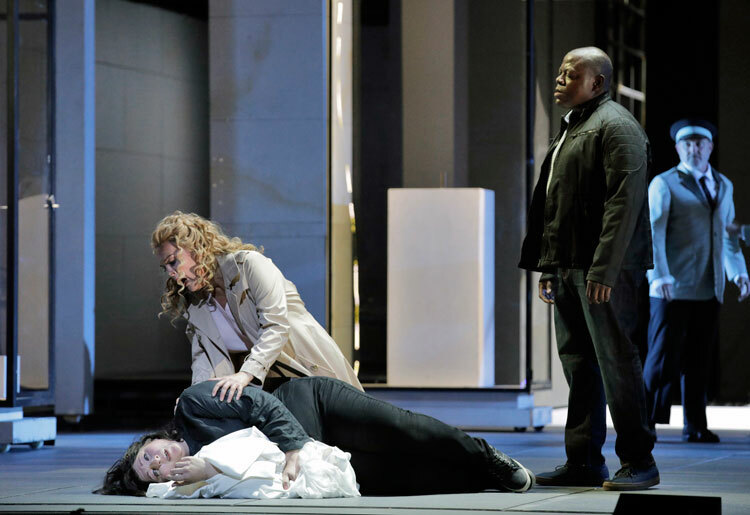 Soprano Adrianne Pieczonka is Elektra’s sister, Chrysothemis, bass-baritone Alfred Walker sings the role of Orest, their brother, and tenor Robert Brubaker is Aegisth, Klytemnestra’s lover. A co-production with the National Theatre in Prague and the Badisches Staatstheater Karlsruhe, Elektra is directed in revival by the Staatstheatre’s director, Anja Kühnhold, and staged by English director Keith Warner, currently director of theatre studies for London’s National Opera Studio. The performances are led by Hungarian conductor Henrik Nánási. Warner’s setting is a modern-day museum, where a girl becomes fixated by a display representing the fall of the house of Atreus in ancient Greece. She watches and re-watches a film relating the story of how Agamemnon was killed by Klytemnestra and her lover Aegisth, in revenge for Agamemnon’s having sacrificed his daughter, Iphigenia, to the gods. It shows Elektra’s brother, Orest, killing Klytemnestra and Aegisth, to satisfy his sister’s lust for vengeance, and although these murders initially give Elektra and Chrysomethis cause for celebration, when Elektra is left alone, the terrible burden caused by the death of her father becomes too much for her, and she descends into insanity and dies. To the museum visitor – who is obviously also in mourning, and in a state of mental trauma – this story triggers a series of memories, and in her mind she takes on the persona of Elektra. She, too, must face her circumstances, going through the same torment as Elektra, until the harrowing events of this fantasy eventually take the same toll on her as on the central figure of Sophocles’ tragedy. Name the finest opera houses in the world, and American soprano Christine Goerke has appeared on their stages. She’s performed with most of the world’s greatest orchestras and conductors as well, and her recording of Vaughan Williams’ A Sea Symphony with Robert Spano and the Atlanta Symphony Orchestra won the 2003 Grammy Award for Best Classical Recording and Best Choral Performance. It’s a while since Ms Goerke was first seen on the stage of the War Memorial Opera House – as Rosalinde in Johan Strauss II’s Die Fledermaus – and she comes to San Francisco Opera now in one of her greatest portrayals, the title role of Elektra. Following her appearance in a concert version of Elektra with Andris Nelsons and the Boston Symphony Orchestra in 2015, the Wall Street Journal wrote of Ms Goerke’s “….. big, blazing soprano that not only has the gale-force power and sheen to slice through Strauss’ huge orchestra, but also seamless legato and an entire paintbox of colors”. The New York Times described her as “…. 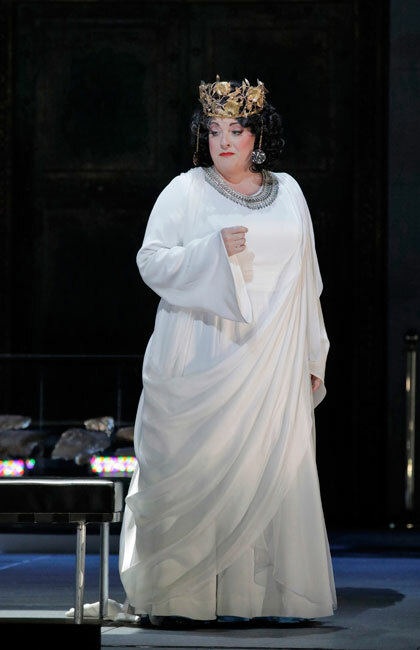 one of the most fearless and formidable dramatic sopranos of the day …. she brought effortless power, gleaming sound and dramatic intensity to this unforgettable Elektra ….”. 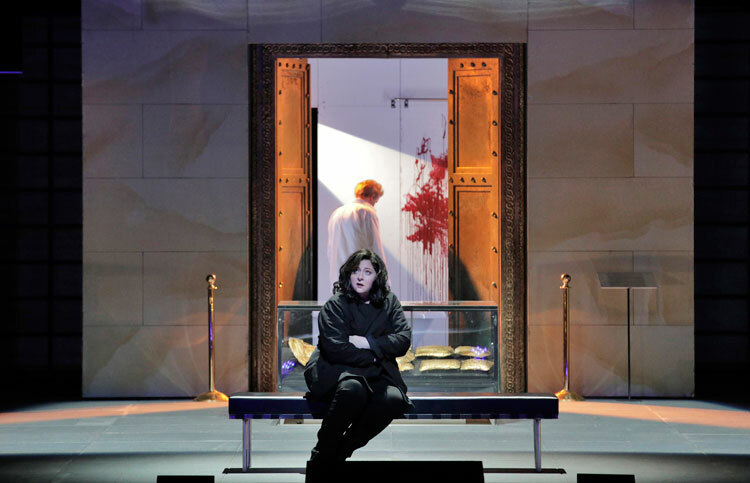 Mezzo-soprano Michaela Martins has become known for portrayals of some of the most challenging mezzo-soprano roles in the repertory – roles such as Judith in Bartók’s Bluebeard’s Castle, Kostelnička in Janáček’s Jenůfa, Herodias in Strauss’ Salome, Ortrud in Wagner’s Lohengrin and Kundry in Parsifal. A former participant in the Merola Opera Program, she first appeared with San Francisco Opera as Cassandra in Berlioz’s Les Troyens in 2015, following which Bachtrack wrote that her performance “…. carried a magnetism which enthralled as she projected with voluminous ease her character’s convictions with deep dark colours and a harrowing vibrato”. In this production of Elektra, Ms Martens sings Klytemnestra for the first time, a role which she will perform again in January for Houston Grand Opera. Adrianne Pieczonka, whom The Independent describes as “simply magnificent, with a warm and radiant voice”, sings the role Elektra’s sister, Chrysothemis. It’s one that she has sung around the world, most recently at the Gran Teatre del Liceu in Barcelona and the Staatsoper in Berlin. Internationally renowned for her interpretations of Wagner, Strauss, Verdi and Puccini, Ms Pieczonka has portrayed powerful women such as Senta, Chrysothemis, Sieglinde, the Marschallin, the Kaiserin, Tosca, Elisabetta, and Amelia in leading opera houses and concert halls across Europe, North America and Asia. Alfred Walker, making his Company debut in the role of Orest, was highly praised by Die Welt, following a recent performance of Wagner’s Der fliegende Holländer at Theater Basel, the critic hailing him as “outstanding as The Dutchman… his performance fiery and chilling at the same time”. He has previously sung Orest, to great acclaim, at Teatro alla Scala, Seattle Opera, Deutsche Oper Berlin, and Spain’s San Sebastián Festival . 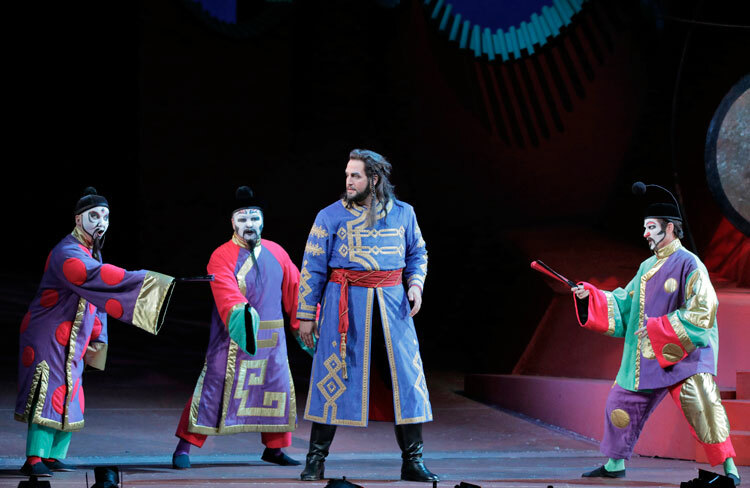 Robert Brubaker, who sings Aegisth, is also currently appearing as Emperor Altoum in San Francisco Opera’s production of Turandot, and will sing Guillot de Morfontaine in Manon later in the season. A frequent performer at the Metropolitan Opera, he has won acclaim for his portrayals of Mime in Wagner’s Siegfried and Das Rheingold, Maletestino in Zandonai’s Francesca da Rimini, the Witch in Humperdinck’s Hänsel und Gretel, and Chairman Mao in John Adams’ Nixon in China. Conductor Henrik Nánási makes his debut with San Francisco Opera, leading the cast, San Francisco Opera Chorus (Director Ian Robertson) and the unusually large Orchestra required by Strauss for Elektra. Maestro Nánási most recently held the post of General Music Director of the Komische Oper Berlin where he led new productions of Mazeppa, Eugene Onegin, Gianni Schicchi, La Belle Hélène, Die Zauberflöte, Così fan tutte, Don Giovanni, Bluebeard’s Castle, The Fiery Angel and Cendrillon, as well as revivals of Der Rosenkavalier, Rusalka, and Rigoletto. During his tenure, the Berlin company was named Opera House of the Year 2013 by Opera World Magazine and Opera Company of the Year 2015 at the Opera Awards. 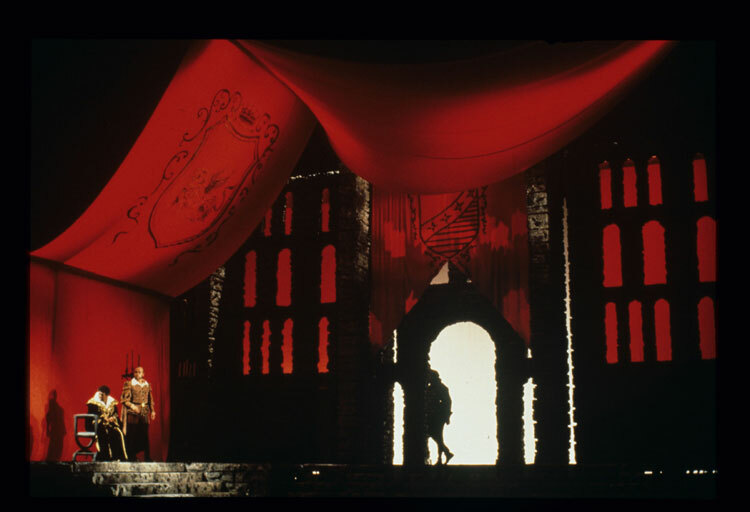 This production of Elektra introduces to San Francisco Opera the work of set designer Boris Kudlička, costume designer Kaspar Glarner, lighting designer John Bishop and video designer Bartek Macias. 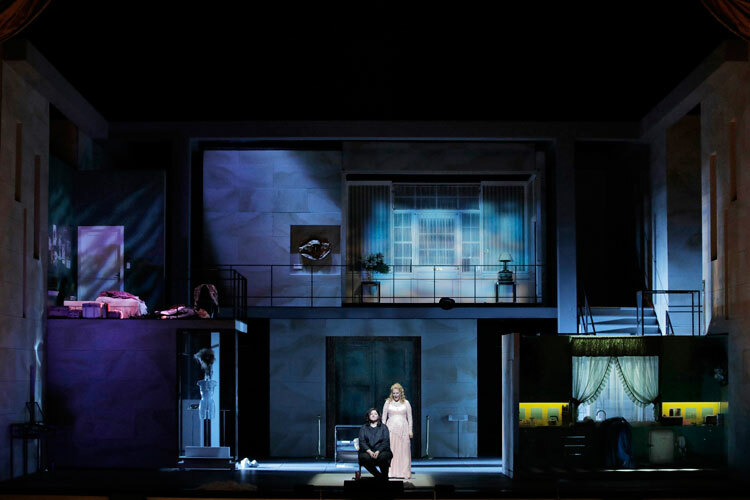 Richard Strauss’ Elektra, sung in German with English supertitles, will run at the War Memorial Opera House for six performances, until September 27. For further information and tickets, visit the San Francisco Opera website. 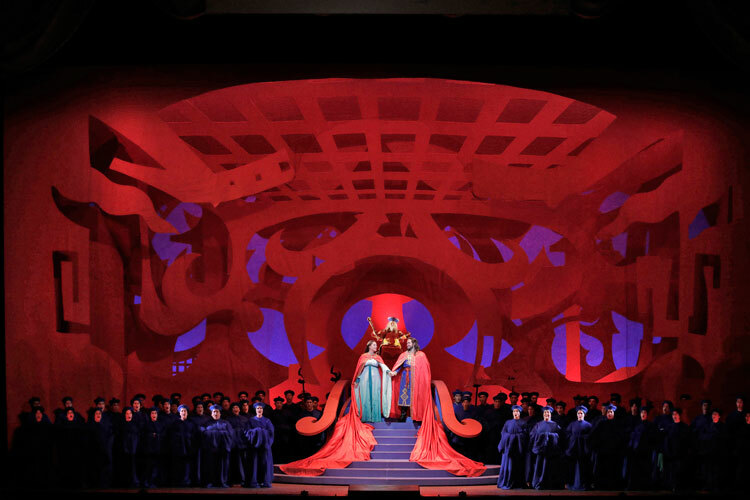 San Francisco Opera celebrates the launch of its 95th season this coming week with two opening night galas – productions of Puccini’s Turandot and Richard Strauss’s Elektra – followed by the traditional admission-free Opera in the Park on Sunday afternoon. 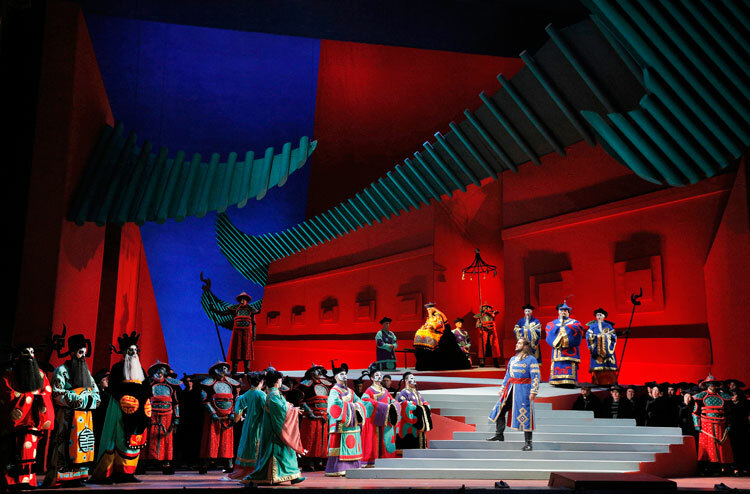 The first production is Giacomo Puccini’s final opera, Turandot, starring soprano Martina Serafin as the icy Princess Turandot, and tenor Brian Jagde as Calaf – the prince who would win her heart. 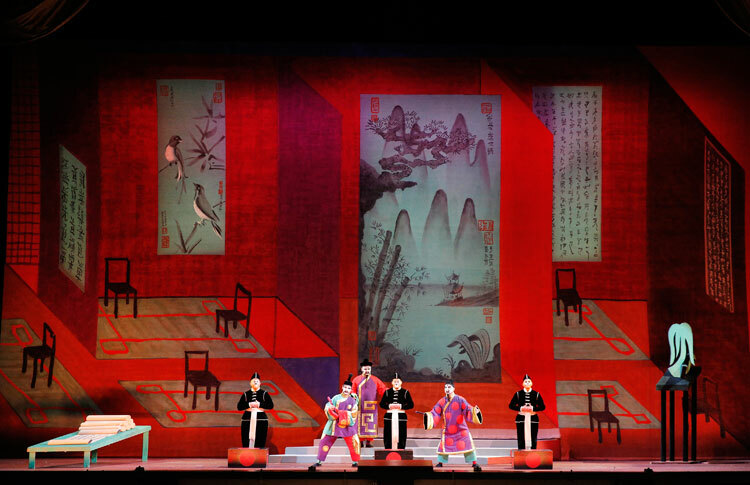 In what will be his final season as Company Music Director, Nicola Luisotti leads the cast, Chorus and Orchestra of San Francisco Opera in this revival of Turandot, designed by British artist David Hockney, and directed by Garnett Bruce. This production is among many international exhibitions being held to mark Hockney’s 80th birthday this year. Painter, draughtsman, printmaker, stage designer and photographer, David Hockney is considered one of the most influential British artists of the 20th century. It was Renato Simoni – librettist, director and theatre critic – who suggested to Puccini that he write a lyric opera based on Friedrich Schiller’s version of the fairytale Turandotte, originally written by the Venetian author Carlo Gozzi in 1762. Puccini was apparently most enthusiastic about the idea, and in 1919, Simoni and librettist Guiseppe Adami – who had already written libretti for Puccini’s La rondine and Il tabarro – started work on the text. Work on the score for Turandot went slowly – it was five years before Puccini had written most of it – then, tragically, he died in 1924, before he could complete it, and without being able to enjoy the success of one of his most popular and often-performed works. The last duet and finale were written by Italian composer and pianist, Franco Alfano, in 1926. Turandot was premiered at Teatro alla Scala in Milan on April 25 of that year, but – according to PBS – “The opening night performance omitted the Alfano finale, with Toscanini putting down his baton where Puccini had abandoned the score when he died. Reportedly, Toscanini turned to the audience and said, ‘Here the composer died’.” This production by San Francisco Opera includes Alfano’s last duet and finale. Set in Peking, this somewhat dark opera tells of the beautiful, but cold-hearted, Princess Turandot who is determined never to be possessed by a man. To ensure that she doesn’t have to marry any of her suitors, she sets them the task of answering three almost impossible riddles – which, until the arrival of Prince Calaf, none of them has successfully done, resulting in their execution. Distraught at the thought of having to marry Calaf, she willingly accepts his challenge of forfeiting his life if she can guess his name before dawn, instructing her subjects not to sleep until his name has been discovered – hence the introduction of the most popular aria in the opera, Nessun dorma (none shall sleep). Thanks to the sacrifice of the slave girl, Liù – who is in love with Calaf, but suffers torture, and ultimately death, rather than reveal his name – Turandot weakens, and Calaf ultimately wins her hand. 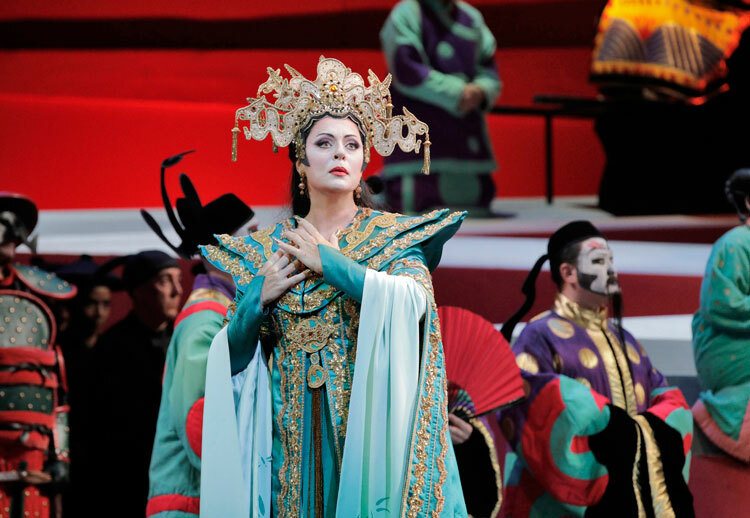 This San Francisco Opera production of Turandot is the first of three in which Austrian soprano Martina Serafin will perform this season – the others being with the Metropolitan Opera and Opernhaus Zürich. She made her debut at San Francisco Opera in 2007 as the Marschallin in Richard Strauss’ Der Rosenkavalier, a role in which she has also appeared at the Metropolitan Opera and Oper Stuttgart. Among other roles in which Martina Serafina will appear this season are Abigaille in Verdi’s Nabucco at Teatro alla Scala, Milan, and Tosca – in her fourth appearance in this role at the Royal Opera House, Covent Garden. Tosca is a role for which Ms Serafin is particularly well known, and which she has also sung at Teatro dell’Opera in Rome, Maggio Musicale in Florence, Arena di Verona, La Scala in Milan, Paris Opéra, Vienna State Opera, Deutsche Oper Berlin, Liceu Barcelona, as well as in Melbourne, Beijing and Monte-Carlo. 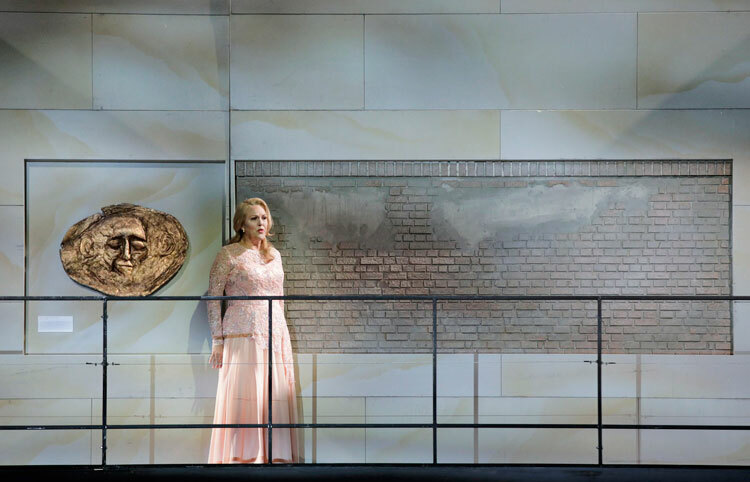 American soprano Toni Marie Palmertree – in her second-year of a San Francisco Opera Adler Fellowship – sings the role of Liù, having already proved that she’s more than capable of handling a major role. She stepped in to perform Cio-Cio San during last year’s production of Madama Butterfly with two hours to spare – in what was not only her role debut, but also her first leading role with San Francisco Opera. Her performance was hailed as a triumph. Peninsula Reviews described her “first sparkling tones” as “exquisite”, and according to San Francisco Classical Voice, “she claimed her place among the finest vocal interpreters of the role heard here recently.” In addition to this, Palmertree has thus far also sung for the Company the role of the Priestess in Verdi’s Aida, the Heavenly Voice in his Don Carlo and appeared in Janáček’s Jenůfa and in Bright Sheng’s Dream of the Red Chamber. In supporting roles, bass Raymond Aceto is Timur, baritone Joo Won Kang sings the role of Ping, tenor Julius Ahn sings Pang, and tenor Joel Sorensen sings Pong. Bass-baritone Brad Walker is a Mandarin and tenor Robert Brubaker makes his Company debut as Emperor Altoum. Costumes are by Ian Falconer, and lighting by Gary Marder. Nicola Luisotti has conducted over 40 operas during his nine seasons as Music Director for the Company. He will step down from this post at the end of the current season, and will be officially honored at the Opera Ball on opening night – but audiences will be delighted to know that he will be appearing as a Guest Conductor for San Francisco Opera in the future. 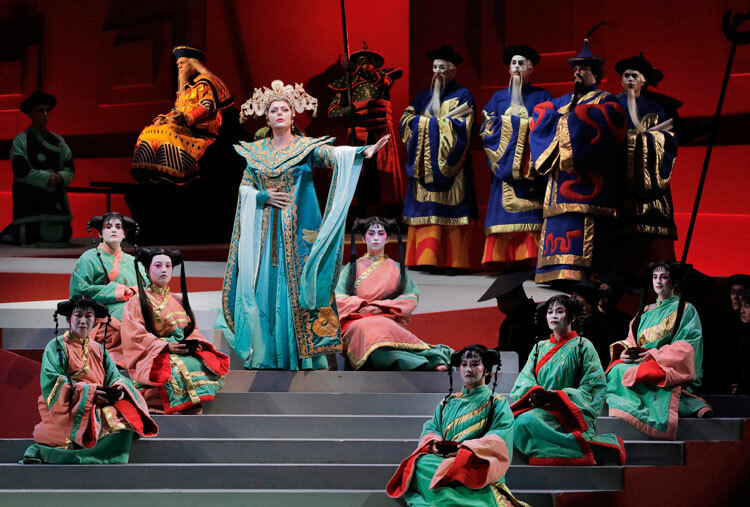 In this co-production with Lyric Opera of Chicago, Maestro Luisotti leads the San Francisco Opera Orchestra and Chorus (director Ian Robertson) in six performances of Turandot, between September 8 and 30 at the War Memorial Opera House. The opera will be sung in Italian with English supertitles. For more information and tickets, visit the San Francisco Opera website www.sfopera.com. Turandot returns to the War Memorial Opera House in November for six more performances, in which the cast will be led by Swedish soprano Nina Stemme, with Brian Jagde again singing the role of Calaf. 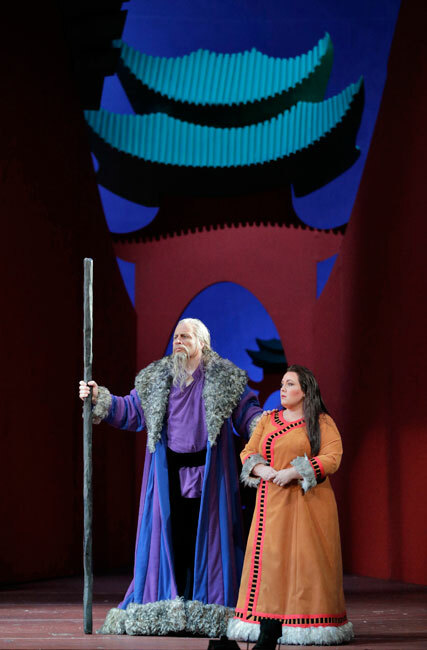 American soprano Leah Crocetto will sing Liù, and American bass Soloman Howard makes his Company debut as Timur. While Dee Dee Bridgewater is wowing audiences in the Miner Auditorium at SFJAZZ this week, there are plenty of great things going on in the Joe Henderson Lab as well. Thursday evening, September 7, sees two sessions by young saxophonist and vocalist Grace Kelly, hailed as “the future of jazz” by NPR. A seven-time winner of the DownBeat Critics Poll, she’s led nine full-length albums, and appeared on stage with names such as Dee Dee Bridgewater, Esperanza Spalding, Geri Allen and Terri Lyne Carrington at the Kennedy Center’s 15th Annual Mary Lou Williams Women in Jazz Festival. The Grace Kelly performances are for SFJAZZ members only. Violinist Jenny Scheinman and composer and pianist Myra Melford make a rare appearance together in the Joe Henderson Lab on Friday, September 8. The New York Times has showered both with praise – describing Jenny Scheinman as “a key arrival to jazz, an outsider with a voice and ideas”, and referring to Myra Melford as “one of the most interesting and underrated pianists in jazz today”. Sunday September 10, features two sessions by the Cosa Nostra Strings. A spin-off of Adam Theis’ Jazz Mafia, this group of classically-trained musicians – Shaina Evoniuk (violin), Keith Lawrence (viola), Lewis Pazner (cello), with Adam Theis on trombone and bass, and Aaron Kierbel on cajon and percussion – produces a distinctive sound, delivering a mix of chamber music, funk and jazz, with what SFJAZZ describes as a “punk-rock personality”. For more information on all these performances, and for tickets, visit the SFJAZZ website. San Francisco Ballet is introducing a fascinating concept to its 2018 season. Entitled Unbound: A Festival of New Works, this initiative, spread over four programs, features 12 world premieres by some of the world’s most creative choreographers – such as David Dawson, Alonzo King, Edwaard Liang, Annabelle Lopez Ochoa, Cathy Marston, Trey McIntyre, Justin Peck, Arthur Pita, Dwight Rhoden, Myles Thatcher, Stanton Welch, and Christopher Wheeldon. The dancers are already in rehearsal for Unbound, and San Francisco Ballet has been presenting a series of live broadcasts of these rehearsals over the past two months. The final one – on Friday, September 8 – features Alonzo King, Cathy Marston and Trey McIntyre putting the dancers through their paces, and can be seen on the SF Ballet Facebook page at 5.30 pm. The video above was filmed during rehearsals on August 18. More information on Unbound: A Festival of New Works can be found on the San Francisco Ballet website . The Transcendence Theatre Company completes its 2017 season of Broadway concerts this week with a special Gala Celebration at Jack London Historic Park – and the Company has good reason to celebrate. The performers have raised over £351,000 for the Park with their Broadway Under the Stars concerts this summer, playing to over 110,000 people. Transcendence Artistic Director, Amy Miller, says they’ll end this season “with an intimate twist on our audience’s favorite performance of the summer” – a mix of Broadway and popular music, including community tributes and reflections. The performances take place in the 150-year-old Winery Ruins at Jack London Historic Park in Sonoma, from September 8 to 10. For more information visit the Transcendence Theatre website . In another open-air performance, San Francisco Chronicle Presents Opera in the Park on Sunday, September 10, the traditional admission-free Bay Area presentation celebrating the opening of the San Francisco Opera Season. Led by Music Director Nicola Luisotti, the performance is hosted by Matthew Shilvock, General Director of San Francisco Opera, and features artists from the Company’s Fall Season – tenor Brian Jagde and soprano Toni Marie Palmertree, stars of the season-opening production of Puccini’s Turandot; mezzo-soprano Jill Grove and bass-baritone Alfred Walker from the cast of Richard Strauss’ Elektra; soprano Aurelia Florian, tenor Atalla Ayan and baritone Artur Ruciński from Verdi’s La Traviata; and San Francisco Opera Adler Fellow sopranos Sarah Cambidge and Amina Edris, and tenors Pene Pati and Kyle van Schoonhoven. 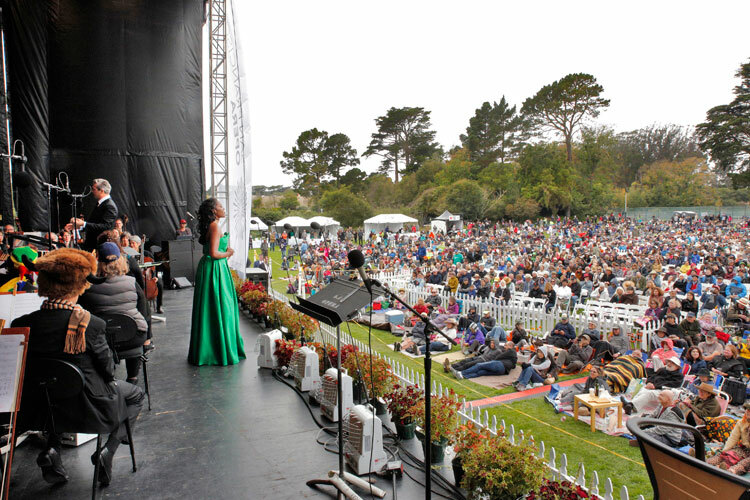 Bring the family – and a picnic – to Sharon Meadow in Golden Gate Park on Sunday September 10 at 1.30 pm and enjoy some of the finest opera music around – all completely free. More details can be found on the San Francisco Opera website. Tomorrow, September 3, is the first Sunday of the month, which means that a production from San Francisco Opera will be broadcast on Classical KDFC at 8.00 pm. This month’s opera comes from the Company’s archives – a performance of Verdi’s Otello starring Plácido Domingo in the title role. Recorded at the War Memorial Opera House on September 22, 1978, at the opening of the 1978-79 season, this production, by Jean-Pierre Ponnelle, was conducted by Giuseppe Patanè who led the San Francisco Opera Orchestra and Chorus. The cast also featured Italian soprano Katia Ricciarelli as Desdemona, and Mexican-born baritone Guillermo Sarabia as Iago, Barry McCauley as Cassio, Gwendolyn Jones as Emilia, Clifford Grant as Lodovico, Stephen West as Montano, Barry Busse as Roderigo, and John Del Carlo as A Herald. San Francisco Opera broadcasts air on Classical KDFC on the first Sunday of each month at 8 pm, hosted by Dianne Nicolini. Classical KDFC can be heard on FM at 90.3 (San Francisco), 89.9 (Wine Country), 92.5 (Ukiah-Lakeport), 104.9 (Silicon Valley), 103.9 (Monterey); on Comcast Cable 981; or online at kdfc.com. KDFC monthly broadcasts can also be streamed on demand at kdfc.com for four weeks after each Sunday night broadcast.